Jamaica is a favorite destination for many travelers. The concern about crime can be real but GPS navigation is still possible and affordable to Garmin users. Exploring the mountainous central region and enjoying seaside cafes at your own pace is a perfect way to pass your days in the Caribbean. 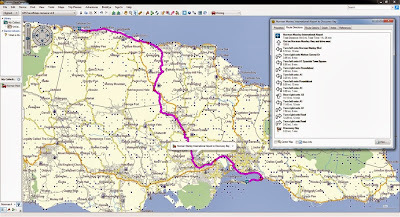 Wesley from the United States commented the following about the map: "I recently purchased the GPS Travel Maps for Jamaica and used them with my Garmin Nuvi 765T while visiting in early August 2012. The maps and directions were great especially on the major roads. I was able to find my way around the city of Montego Bay where I spent most of my time. I used the Points of Interests a lot to get me in the vicinity of my destination. I will never visit Jamaica again without my GPS Travel Map. Thanks for a good product." 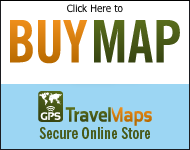 Aruba GPS Map - "Wonderful Product"
Costa Rica GPS Map - Customers love it!